Hi! This is Week #21 of 52Quilters and I can’t be more excited to be a part of this!! First a little about myself…….My name is Jane Hauprich and I live in Centreville, Maryland, USA. I am a mother to three adult children and grandmother to a little girl with another granddaughter on the way and expected in September. Life as a grandmother has been awesome!!! And of course it just means that I get to make more quilts!! I continued sewing (off and on when time allowed) through the years. 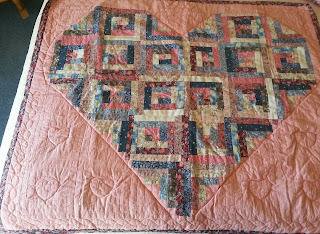 About five years ago, I found myself at a quilt show and coveting the HandiQuilter Sweet 16 sit down long-arm and ended up buying one with the idea of how great it would be to finish my quilts instead of sending them out to be quilted. I loved that machine and even found myself quilting for others occasionally. After a few years, I decided that I thought I might like to start my own business and decided that I should upgrade to a stand up long-arm. I sold my sit down long-arm (now I wish I had it back for smaller projects) and purchased a HandiQuilter Avante on a 12 foot frame. When the company came to set it up, I was so intimidated by the machine that I shut the door to that room and for the next two weeks would open the door and look in and think…”oh my, what did I do?”. Well, I finally bit the bullet and loaded my first quilt and I haven’t looked back since. I do all hand driven (no computer) free motion custom work with the occasional free motion edge to edge pattern thrown in when someone needs me to do that. 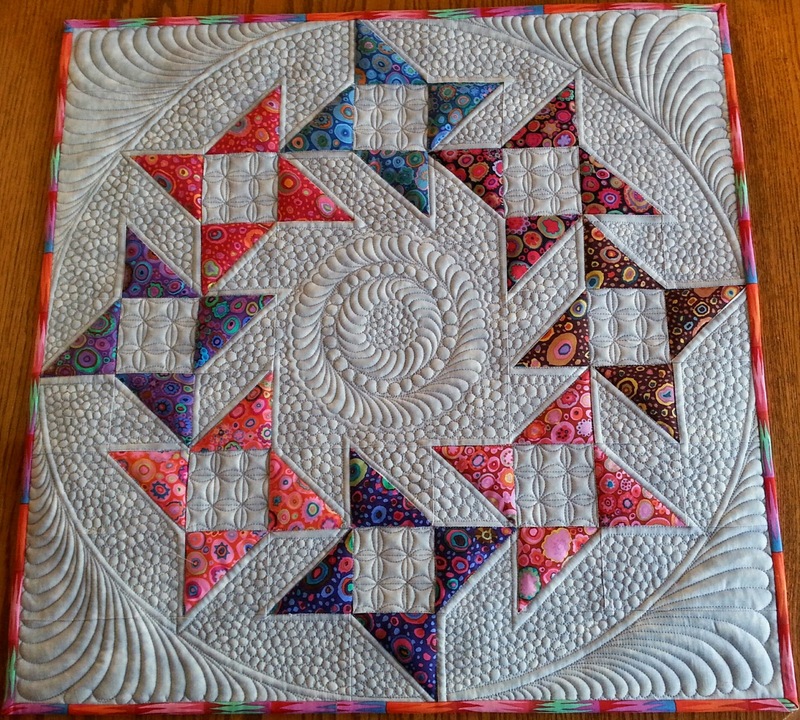 I have started teaching a free motion quilting class at my Local Quilt Shop, which has been a blast and I have two more classes coming up later in June. 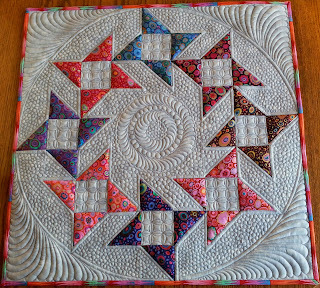 I find that I am really enjoying myself teaching others to free motion quilt whether it be on a home machine or long-arm. I would like to do that more often as opportunities arise. I don't get to piece much anymore as I am busy quilting for others, but I sew as much as possible. I have found my style of quilting has gone from more traditional piecing to now enjoying brighter colors and more modern patterns. I also find that I enjoy doing mini quilts as I can actually get them finished!! :) Here are a couple of recent minis that I have completed. Over the past two months I have attended Paducah Quilt Show and Spring Quilt Market and hope to post about those sometime this week, along with other fun topics!! Post by Jane Hauprich - Week #21: I am Jane Hauprich from Centreville, Maryland. I am the owner of Stitch By Stitch Custom Quilting, which I started 2 ½ years ago. 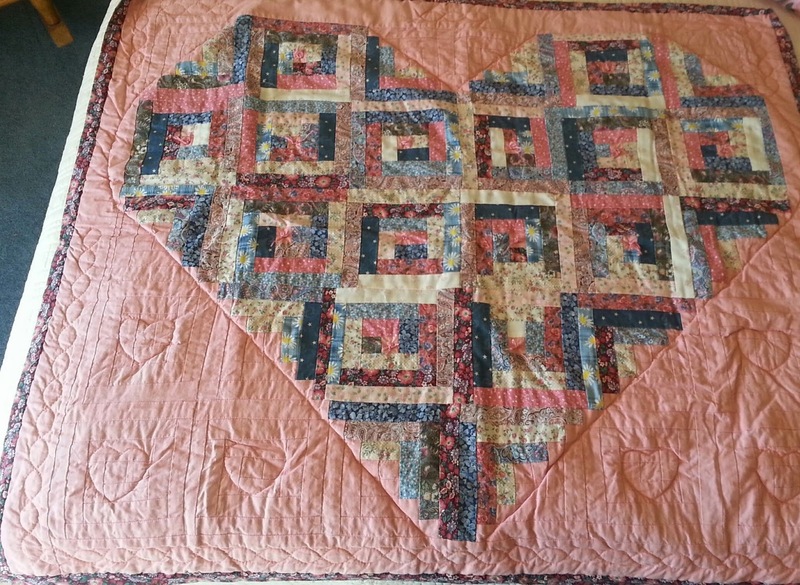 I have a passion for quilting that sometimes monopolizes my life!! You can find me on Instagram at @janestitchbystitch or visit my website at www.stitchbystitchcustomquilting.com. Hi Jane, it's nice to learn more about you! Your quilts and quilting are spectacular!